NOTE from Matt & Betsy: We’re so excited to share today’s article from one of our brand new writers, Dawn Combs! Her wealth of knowledge will amaze you as you enjoy her upcoming articles. Please join us in welcoming her to the DIY Natural team! One of my favorite things about spring is all the fresh, young, green, edible weeds that pop up everywhere on our property. I understand the glazed-eyed madness with which our cow, Ruby, looks at the freshly sprouted green of the spring pasture. I feel the same as I walk around the yard seeing all the new yummy leaves and flowers. I often feel overwhelmed with the idea that I’d really like to eat most of them while they are small – how can I possibly eat enough of them before they get too big and tough?! I suppose I should back up a step to address those who may have instantly thought, “weeds? in my salad?”. YES! In our house we buy a small head of lettuce each week for a family of four. We eat a lot of salad, so you may well wonder how that stretches so far. Every salad uses a small pinch of lettuce greens as a base… it is the canvas, so to speak, upon which we paint with all the foraged spring greens and flowers. All parts of the dandelion are edible, delicious, nutritious and healing. PLEASE don’t spray your dandelions – eat them instead. They are important for the health of your liver and kidneys and they are critical for the health of our bee population. Don’t forget to add the flowers to your salad, they are bright and sunny and you will be surprised by their sweet flavor. Dandelion leaves are higher in beta carotene than carrots. They contain higher levels of iron and calcium than spinach and don’t contain problematic oxalic acid. All parts of the dandelion contributes vitamins B1, B2, B5, B6, B12, C, E, P and D, biotin, inositol, potassium, phosphorus, magnesium and zinc to your diet – all free for the taking from your own backyard! Spring is the best time to catch these before they get too big. Choose the burdock rosettes that have more than two leaves. They will be your second year burdock and will have the larger roots. Carefully dig them with a small shovel or a hand trowel as they have a very long tap root. 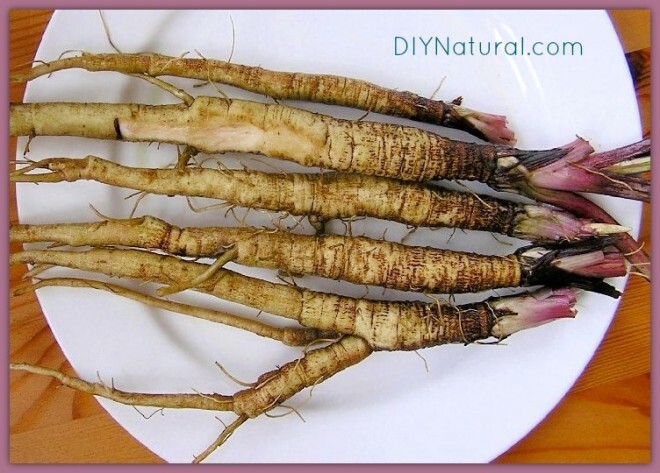 This root is a nice tonic for the liver, helping to reduce congestion and aiding with the reduction of both LDL cholesterol and triglycerides. It is high in beta carotene and calcium. I like to slice it and top my salads just like I would a carrot. Sometimes you want a hot salad when spring days drift back into cool temperatures. You don’t want to eat stinging nettles fresh, but if you lightly steam them they can be tossed with a dressing and served as a side dish or they can be combined with some chopped almonds and feta and added to the top of a salad. The taste of steamed nettles is like a cleaner, brighter, richer spinach. Nettles contain high levels of minerals, especially calcium, magnesium, iron, potassium, phosphorus, manganese, silica, iodine, silicon, sodium and sulfur. They are very high in chlorophyll so its perfect to address low energy levels. Nettles are a good source of Vitamin C, beta carotene and the vitamins in the B-Complex. They are one of the highest vegetable sources of protein. You’ll definitely want to treat your kidneys and liver with a delicious nettles tonic this spring! 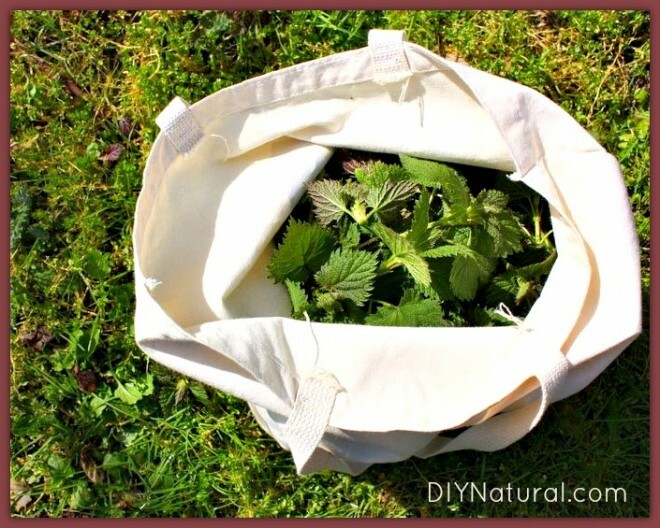 Read more here about identifying, harvesting and eating nettles. Also known as curly dock or curled dock, the delightful, bright lemon flavor of young yellow dock leaves surprises most people. It doesn’t surprise the bunnies in your garden – it is their favorite spring snack. You will definitely want to grab a handful of these to chop into your salad. 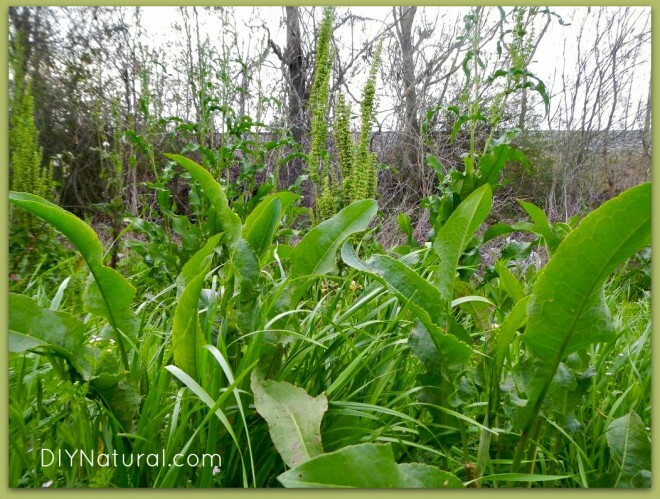 As with many of the spring weeds, this plant is a liver tonic. Yellow dock leaf contains ⅓ more protein, iron, calcium potassium, beta carotene and phosphorus than spinach and more than double the Vitamin C.
Every year I watch for my chickweed patches to return. They are one of the first to get lush and ready for picking. To me, this spring creeper tastes like fresh corn on the cob. It is especially useful to help with the congestion in the body that accumulates over winter. 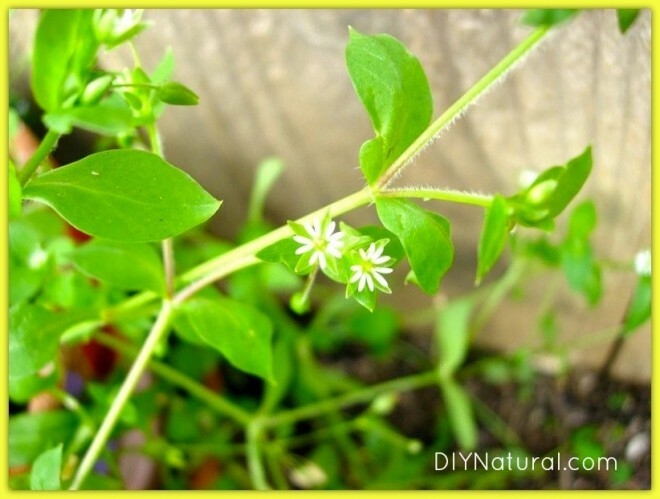 Chickweed contains quite a lot of Vitamin C as well as B6, B12 and D. It is a good source of beta carotene, magnesium, iron, calcium, potassium, zinc, phosphorus, zinc, manganese, sodium, copper and silicon. Trust me, you WANT to get out there and eat your weeds! 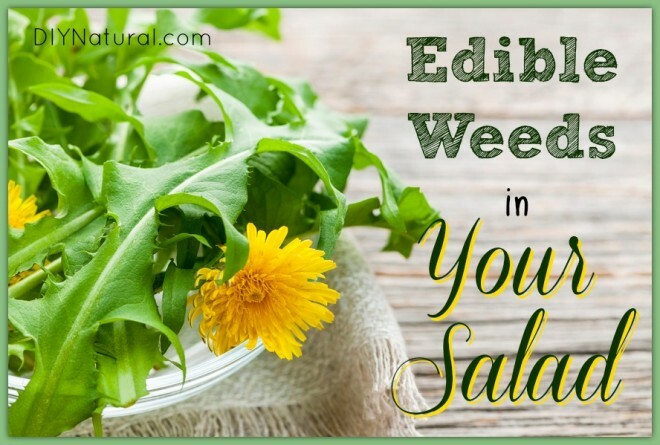 Are you using edible weeds in your meals? Loved this article! My spouse and I take a “grocery shopping trip” in our large backyard at least once per week and load up on a lot of these weeds for our salads and stir fry dishes. My mum and dad affectionately refer to us as the “family goats.” haha 🙂 Anyway, one of our family favourites is purslane. It is a really delicious weed that we like to eat either raw in salads or cooked. It has a delightfully light flavour akin to spinach, with hints of citrus. Absolutely marvelous! I like to use purple violet leaves in an omelet. Dandelion leaves are good in chicken or duck broth. Amaranth is good with ricotta in stuffed pasta shells, with spaghetti sauce. However, one of the most important things you need to know is proper identification of plants, and respect for plant families, in that not all plants in one plant family are edible. For instance, I can often recognize plant families by stem shape, leaf arrangement and shape, etc. Also yellow violets can cause gastrointestinal upset, while purple violets are edible. So do be careful and identify your plants. Also, some plants are edible for humans, but poisonous to dogs, or to cats. And don’t pick in areas that are spared with chemicals or get a lot of car exhaust. Also along railroad tracks and other places, the chemicals that are sprayed on to keep down any growth of underbrush have a half-life of 30 years. Probably safest to eat things from your own yard. I live in Calif. and I pick rinse and eat tumbleweed while it is still small maybe 6 inches tall. I cut the branches off the main stem and then steam them and put butter and some salt on them. Hmmmmm really good. I also put them uncooked in my smoothies like you would any green. I want to really learn how to forage for food in case times get really hard and I have no money. At least I wouldnt go hungry. Thank you so much for this article! The pictures are beautiful and helpful…..I’m going to go wander in the yard tomorrow. Don’t forget about young violet leaves; the flowers, too, are edible. And if you can find a stand of Japanese knotweed (I fight this invasive weed in my garden constantly, but it’s also in the woods here in Michigan) the young stalks are used much like rhubarb, popping up a few weeks earlier, though. I am so glad to know that dandelion doesn’t have the oxalates of spinach. I have several health challenges and oxalates is one of them. It causes me great pain. My liver is sluggish and needs to be cleaned up and I wondered about this. I love the idea of adding weeds to my diet to help my health and add variety to my diet. Do you know what else is low in oxalates or where I might find the info to find out? 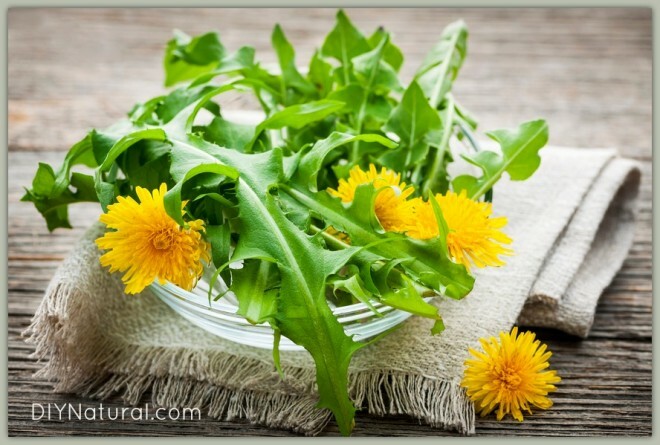 Dandelion is great for the liver. I used to have a sluggish liver, which showed up on my bood tests. I started using dandelion root in capsules or as tea, as well as the leaves on occasion. After several months, my liver enzymes were back to normal. I love to go out in the wild and pick miner’s lettuce. Love the taste almost like a cross between lettuce and spinach. Grows wild in the hills of California. Can’t wait for Spring each year to pick the tender leaves. So good. I live where the alfalfa grows wild in open spaces near my home. I always love the sweet smell of it growing and flowering. I looked up to see if I could eat it, YES. On my walk yest I picked some of the flowers and ate them. WOW, really good taste. There is clover close by so I tried that. There is one other plant I looked up (can’t remember the name). Guess I’ll be getting greens on my morning walks. Yum. I have cooked young milkweed plants this way too. They are delicious, but you also have to change the water at least three times while cooking. Since living in Texas I have found few of the plants that I used to love to eat like creesy. I have an abundance of stinging nettles through winter into spring, they are just now dying off before the heat. I would love to see some recipes and herbal uses for this and other plants. This was such an informative article. I love the idea of nutritious weeds in my salads, especially the misunderstood and beautiful dandelion, but my condo community maintenance sprays all kinds of terrible toxins on our lawns and gardens, so I can’t pick weeds in my own back yard. I never knew that stinging nettle was edible!! You might try to find a “wild” space nearby to harvest your spring goodies. Even though I have a large space of my own there are many things I can’t grow (like those nettles!). There is a farmer down the road who keeps his land in pasture who lets me forage to my heart’s content! Happy salad making!